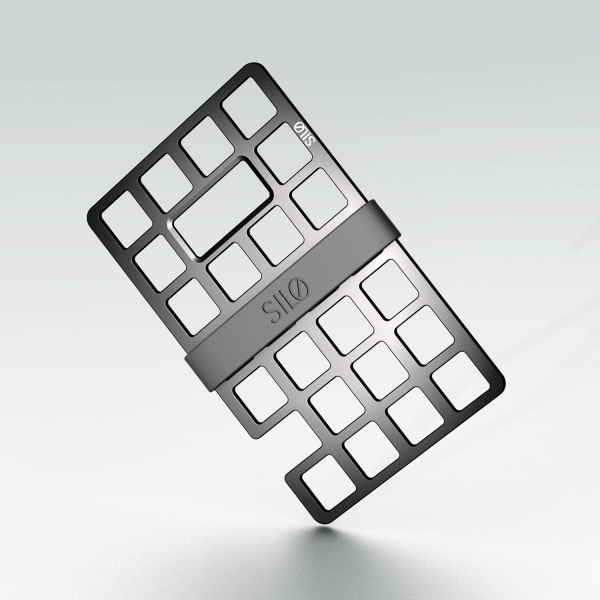 Silo is a collective of Industrial Designers and design enthusiasts based in Sydney. The Silo team is dynamic and collaborative. We constantly look for other like-minded people to work & develop ideas with. Scott Norrie (B. Industrial Design, Australian Design Awards Finalist, Red Dot: Winner 2013 (FCS II, Surf Hardware International)) brings the industrial design and project management expertise to Team Silo. Michael Norrie (B. Business, 8 years’ experience in business, marketing, web & fulfilment) takes care of the day to day business, marketing and logistics activities. At just 1.5mm thin and the same outline as a credit card, the Mesh Card is slim enough to slide into any wallet unnoticed. Pull it out to crack open a beer, set up a mini cinema or take a hands-free Skype meeting (wherever you and your wallet travel). 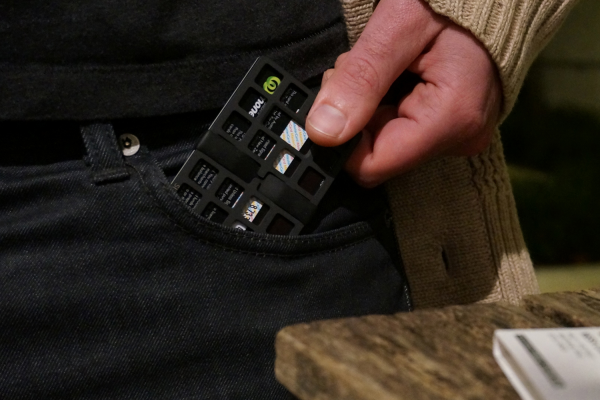 The titanium acts as a shield against contactless credit card theft, so you'll instantly receive an RFID-blocking upgrade to your humble wallet. 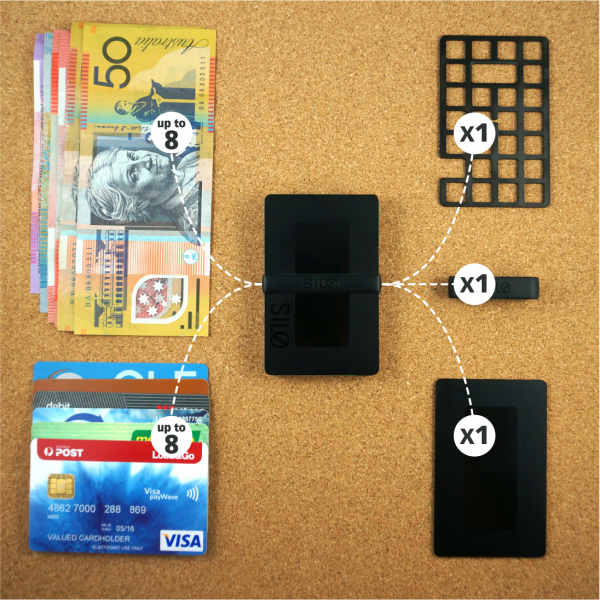 The Mesh Card was also designed to be used as a standalone wallet. The Mesh Card will easily hold up to 8 cards and several notes, making it the perfect slim-down night wallet or everyday wallet for the minimalist. 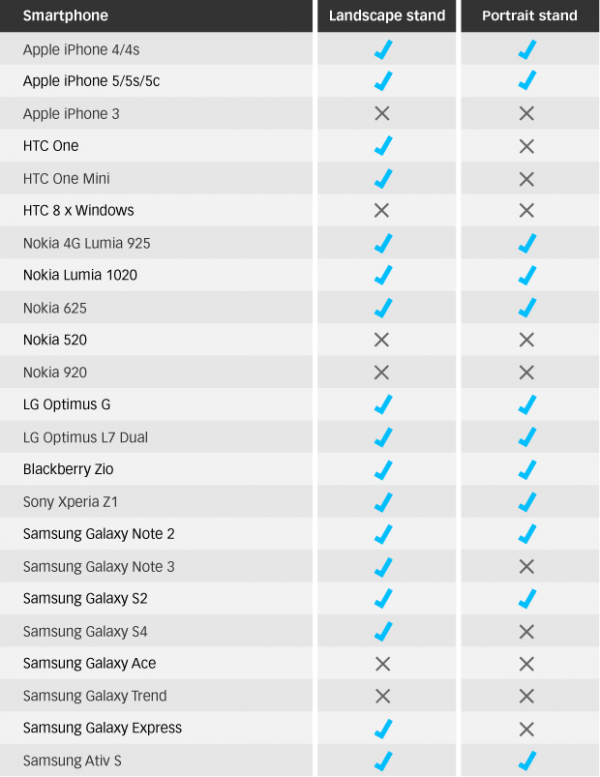 What people carry in their pockets has changed in the last decade. 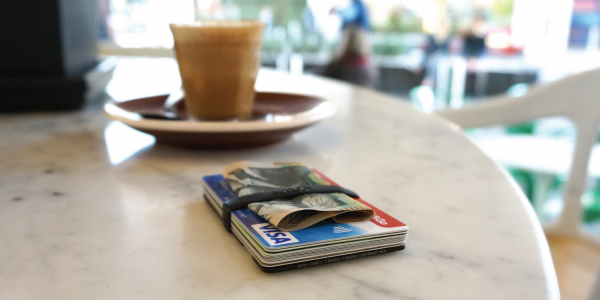 Most wallets train us to carry countless cards, receipts and coins. 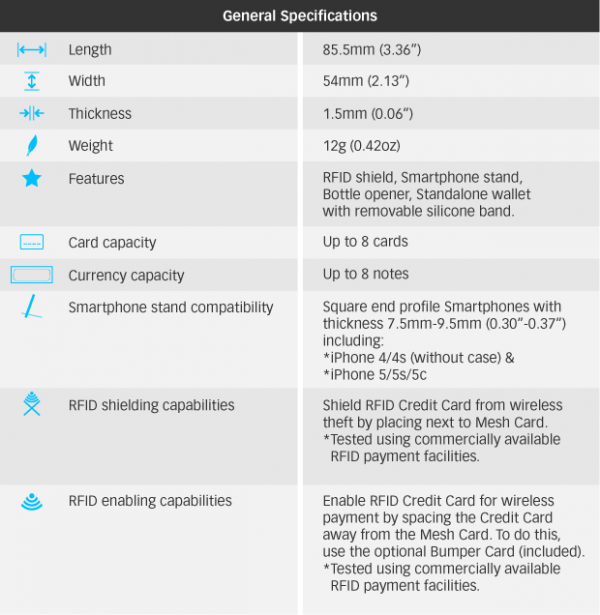 A few cards, a couple of notes and a smartphone occupy our pockets these days. 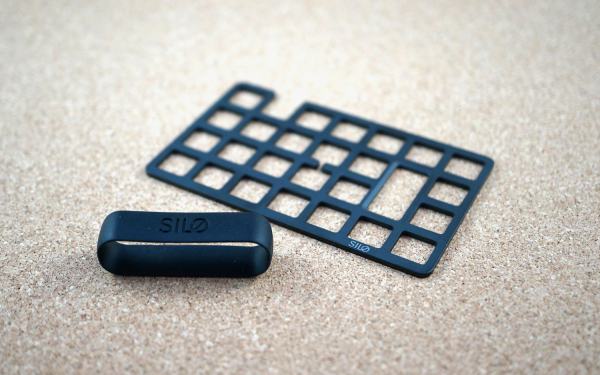 The Silo Mesh Card provides a means to carry all these items in perhaps the thinnest, lightest and strongest form possible. 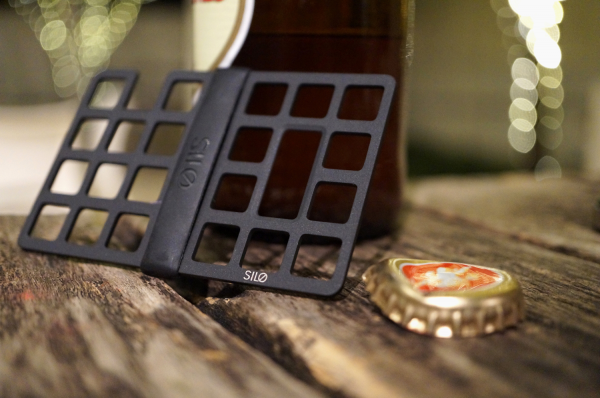 The product compliments the modern lifestyle by seamlessly offering additional functions: a smartphone stand, bottle opener and RFID shield. The design challenge was to completely re-think the wallet with respect to materials and function. After arriving at the most minimalist solution, the challenge then lay in ensuring the highest quality materials, processes and finishes were employed to support the design. The product was designed using the highest quality materials & finishes available so that it lasts. The Mesh Card will outlast a traditional leather wallet (and the credit cards & smartphone that it is used with). The design also considers sustainability by offering multiple functions in a product designed to be used daily: an enduring product with a small footprint is a sustainable product.